Frankfurt – 'Japan’ has been the buzzword around licensed German football both on and off the pitch these past few days. To celebrate the launch of the Japanese version of the DFL’s official website last Sunday, Eintracht Frankfurt and 1899 Hoffenheim provided some special entertainment for the delegation of Japanese journalists in the Commerzbank-Arena. 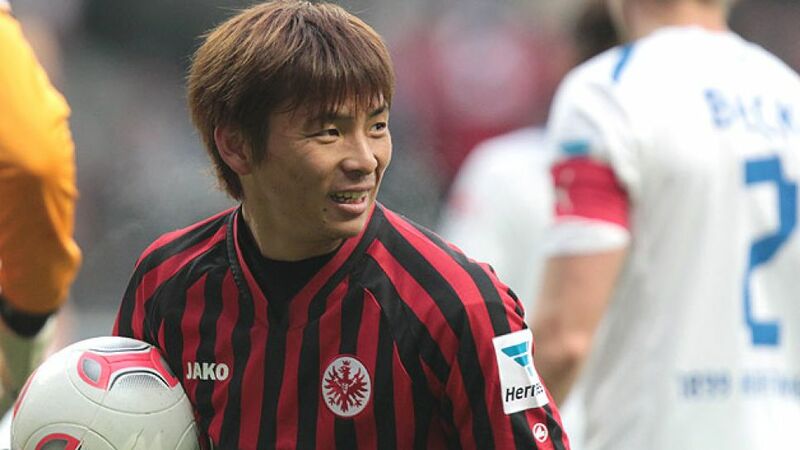 Symbolic of the country’s status as an exciting and emerging market in which to expand the Bundesliga brand, both teams have within their ranks two players that have spearheaded Germany's recent affection for Japanese football: Eintracht’s Takashi Inui and Hoffenheim’s Takashi Usami. And as the flagship game for the launch of www.bundesliga.com.jp, both the match itself and the two players did their country proud. This was a game in which both Takashis were able to demonstrate their best qualities. Usami was one of the players most likely to create something for Hoffenheim, showing some good touches in possession and embarking on several of the direct, slaloming runs that have become his trademark this season. Unfortunately for Usami, a stern Frankfurt rearguard meant he was unable to repeat the goals he scored against Freiburg and Stuttgart earlier in the season, but he most certainly flew the flag for the Far East. His namesake enjoyed an even better afternoon. Playing on the left-hand side of a three-pronged attack, the diminutive winger made his mark on the game by providing the assist for Martin Lanig's opener with a delightfully clipped pass. It was the former VfL Bochum man’s fourth assist of the campaign, an impressive haul considering he also has six goals to his name. Both players will likely have important roles to play, even with their clubs at opposite ends of the Bundesliga table. Frankfurt, fourth in the table and already with ten wins on their account, may even allow themselves to dream of finishing among the European places come the end of the season. They will need Inui to maintain his impressive form, but for someone who, like his club, has taken so well to life in the top division, it's a real possibility. Hoffenheim, on the other hand, have altogether differing ambitions. Defeat against the Eagles saw them drop into the relegation zone for the first time since Matchday 3. They are showing signs of improvement under new coach Marco Kurz, particularly in defence, but there is still a huge amount of work to be done if the club is to remain in the Bundesliga for a fifth consecutive season. With as many as ten Japanese players in the German top flight, it seems that the Bundesliga’s love affair with the country top players will only increase. A whole new crop of exciting young talent from the Land of the Rising Sun, including Atsuto Uchida at FC Schalke 04, 1. FC Nuremberg’s Hiroshi Kiyotake, VfB Stuttgart striker Shinji Okazaki and Bayer 04 Leverkusen’s Hajime Hosogai, have established Japan's reputation as one of the most attractive new markets in world football. They and their compatriots will all have plenty of opportunity to showcase Japan’s footballing talent and heighten the country’s interest in the Bundesliga in the coming months and years. Firstly, the two Takashis can reflect on a job very well done indeed for Japan and for the Bundesliga.